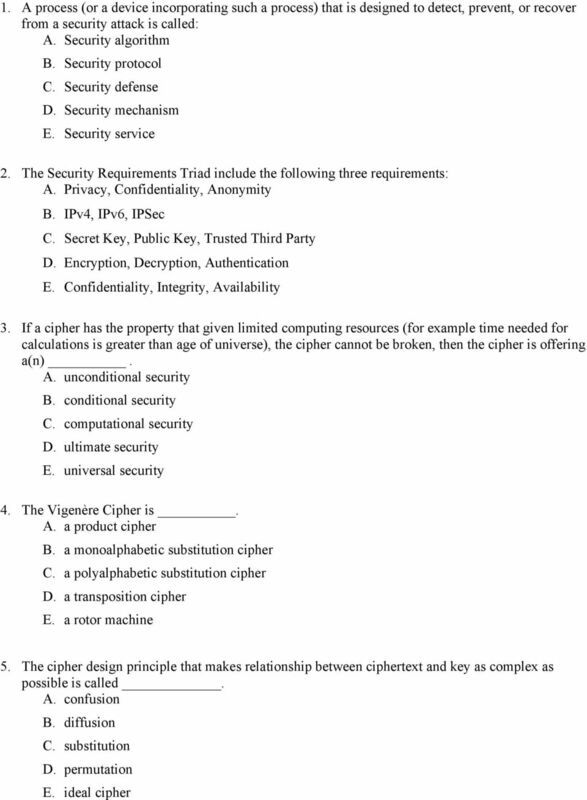 Download "EXAM questions for the course TTM4135 - Information Security May 2013. 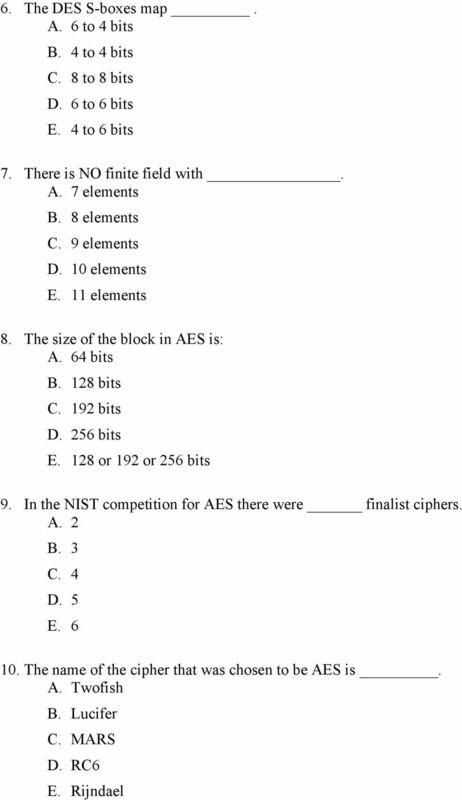 Part 1"
1 EXAM questions for the course TTM Information Security May 2013 Part 1 This part consists of 5 questions all from one common topic. 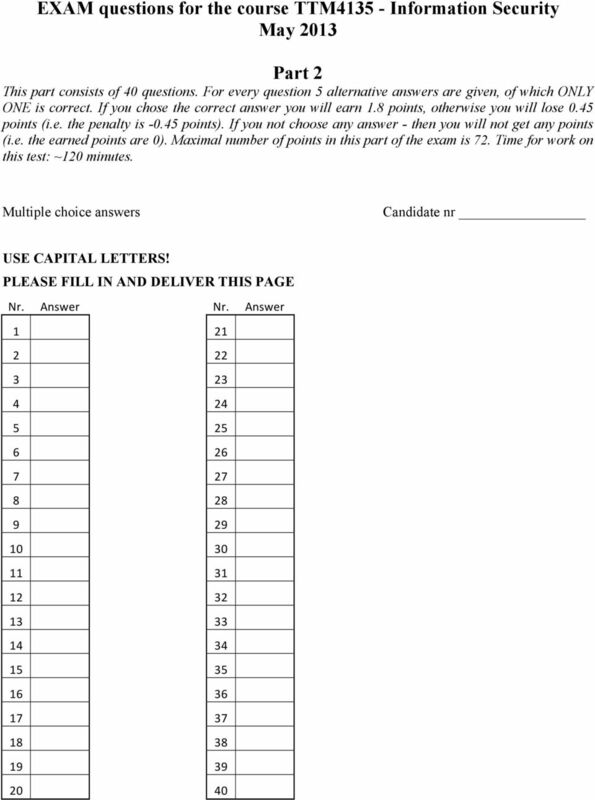 The number of maximal points for every correctly answered question is given next to the question. Maximal number of points in this part of the exam is 28. Time for work on this test: ~60 minutes. TOPIC: DES and its variants 1. (5 points) How many rounds have DES, how big is the key and how big is the block? 2. (4 points) How many S-boxes have DES? 3. 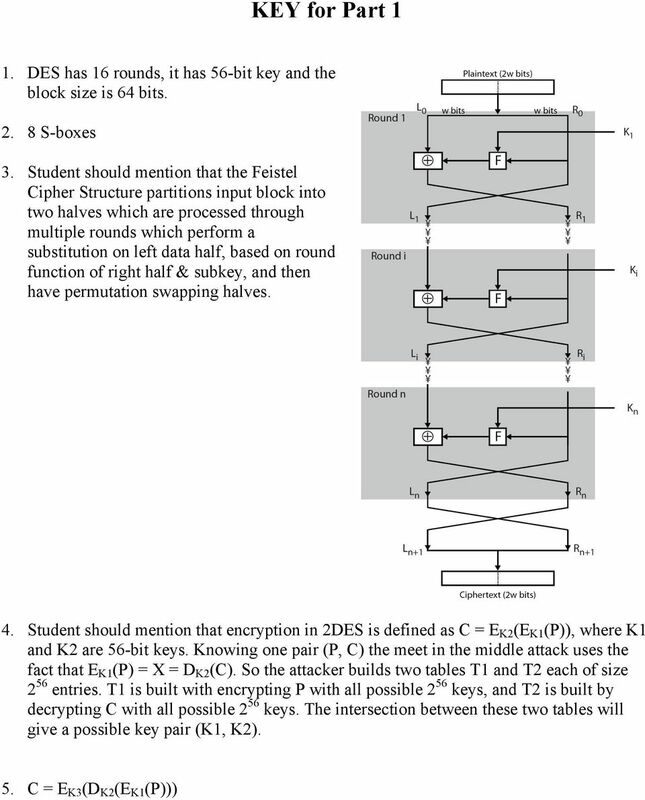 (7 points) Explain the Feistel Cipher Structure? 4. (7 points) Explain how meet in the middle attack works against 2DES! 5. (5 points) Explain how 3DES is designed! Shift Cipher. Ahmet Burak Can Hacettepe University. Substitution Cipher. Enigma Machine. How perfect secrecy can be satisfied? UNIT I. 5. Define cryptanalysis? It is a process of attempting to discover the key or plaintext or both.